The Internet has brought connection, communication and efficiency to the business world, including family offices. However, conducting business online without proper security and knowledge of risks can endanger the family and its sensitive financial and personal data. Awareness is a family office’s best defense. 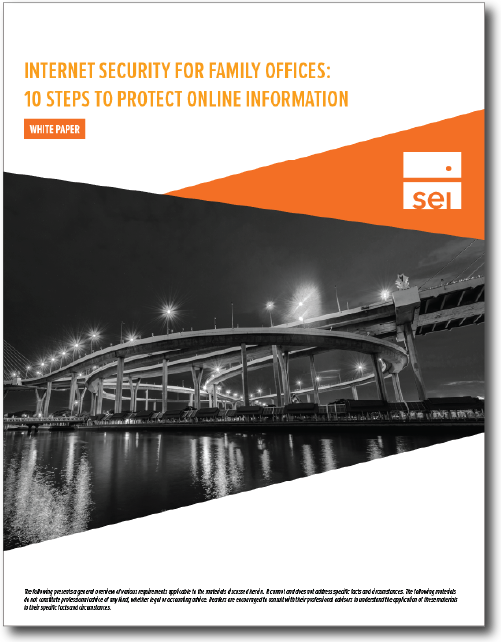 This guide, co-authored by SEI Archway and TrustedFamily, provides an overview of the expertise, planning and effort required to safeguard confidential information along with best practices for Internet use.